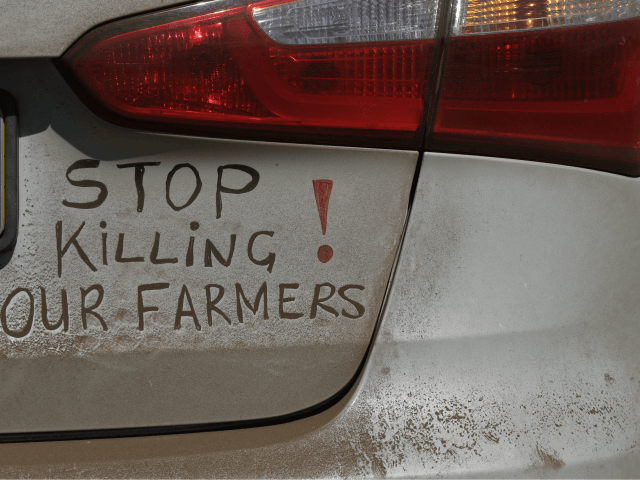 Mr. Dutton faced a backlash after he first announced the farmers needed “special attention” because of the epidemic of violence engulfing them. As Breitbart News reported, Mr. Dutton noted Australia has refugee, humanitarian and other visa programs which have the “potential to help some of these people”. He said he had asked his department to look at the options “because from what I have seen they do do need help from a civilised country like ours”. Mr. Dutton denies the offer is racist. He maintains help for South African farmers isn’t just because they are white; He wants to help South African farmers who are persecuted because of that. His initial comments sparked a diplomatic row with the South African Government, which demanded an apology and strongly refuted claims of “torture and abuse” against white farmers and land owners. All the criticism over the last week has meant nothing to me. We’re looking at ways we can help people to migrate to Australia if they find themselves in that situation. We’ve been inundated with messages of support and references for particular cases. It concerns me that people are being persecuted at the moment, that’s the reality — the number of people dying or being savagely attacked in South Africa is a reality. There’s lots of outrage from some of the crazy lefties at the ABC, the Guardian and Huffington Post can express concern and draw mean cartoons about me and all the rest of it — they don’t realise how completely dead they are to me. “There is a very serious situation developing in South Africa. Something like 400 white farmers have been murdered, brutally murdered, over the last 12 months,” Mr Abbott said. The farmers were being murdered by “squatters intent on driving them off their land”, he added, and it would be a “national crisis” if the same thing were happening to Australian farmers. “If the boot was on the other foot we would call it racism of the worst sort,” Mr Abbott said.